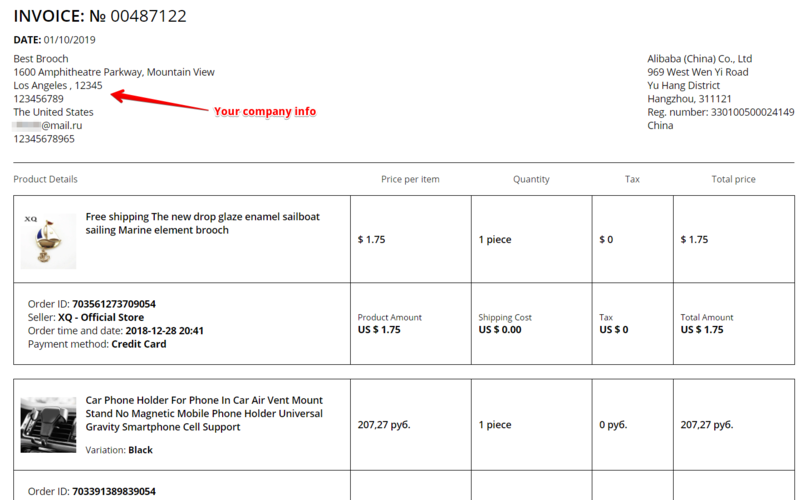 Using AliDropship Google Chrome extension you can easily generate invoices for every order you placed on AliExpress for a certain period in one click. When invoice is generated you will see Invoice number which is generated randomly, your company info, AliExpress' business name and address, your orders details. Now you can print the invoice.